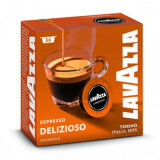 Value Pack containing 96 (6 bags of 16pieces) high quality Coffee Capsules compatible with Lavazza a Modo Mio system.This is a mixed Pack of Italian Coffee and Best Espresso capsules - Our choice of flavours ..
Only the best Arabica beans are used to create this pleasant coffee. 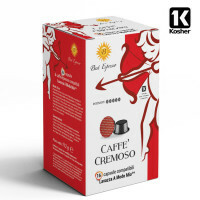 A delicate taste that doesn't leave any bitter after taste and it's easy to enjoy any time of the day This coffee is best served as a ..
A pleasant and creamy coffee with a distinctive taste, creamy and dense body is adored by all coffee lovers. 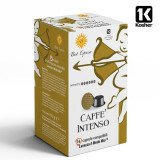 This coffee is best served as a 15-50ml espresso or with milk. 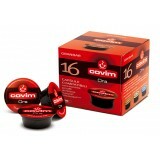 Pack of 16..
A varied selection of coffee from different origins has been used to create this unique yet well balanced coffee. 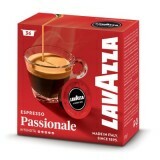 This coffee is best served as a 15-50ml espresso or with milk. 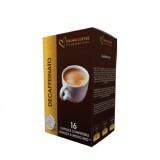 Pack of 16..
Full-bodied coffee strong and aromatic. 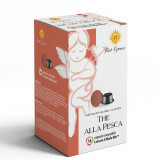 A unique taste for coffee loversThis coffee is best served as a 15-50ml espresso or with milk.Pack of 16..
A strong coffee with intense aroma and bold taste you won't forget.This coffee is best served as a 15-50ml espresso or with milk.Pack of 16.. 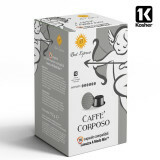 This is a natural "cool" coffee made of 100% Organic Arabica Beans, cremoso , smooth and aromatic. This coffee is best served as 15 -30ml espresso Each Pack contains 16 capsules..
Decaf is a special decaffeinated coffee made of Robusta and Arabica blend to create a more intense, creamier still delicate coffee taste. 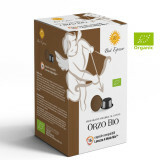 It is a perfect option for all coffee loversThis coffee is best served as a ..
16 capsule containing Organic soluble BARLEY (Orzo Pupo) compatible with A Modo Mio machine.This beverage is best served as 50ml cup of Barley, perfect for children and adults.Each Pack contains 16 cap..
16 capsule containing soluble Lemon Tea compatible with A Modo Mio machine.Lemon Tea beverage can be served as 120ml cup of Tea or on ice and is perfect for children and adultsEach Pack contains 16 capsules..
16 capsule of chocolate-flavor beverage compatible with A Modo Mio machine. This beverage is best served as 40- 50ml Cup of hot chocolate or with milk. 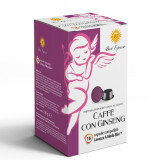 Each Pack contains 16 capsules ..
16 capsule of Ginseng Coffee compatible with A Modo Mio machine. This beverage is best served as 50 -60ml cup of coffeeAllergy warning: containing milk, lactose and products thereof. It may contain..
Peach tea is a exciting and refreshing drink that tastes great at any time of the year. Easy and high quality iced Peach tea at the touch of a button. 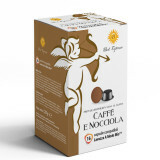 This Fruity and delicious, with a zingy sweetness drinks ..
16 capsule of Hazelnut coffee beverage compatible with A Modo Mio machine. 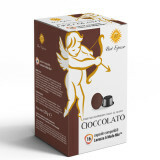 This beverage is best served as 40- 50ml Cup of hot chocolate or with milk.It contains: Skimmed MILK powder, glucose syrup, un-hyd..
16 capsule of Macchiato coffee beverage designed for A Modo Mio coffee machines. Get a full-on coffee experience with the A Modo Mio Macchiato coffee. This beverage is best served as 30- 40ml .. 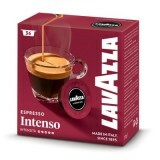 The healthy alternative to coffee finally available for Lavazza A Modo Mio Machines!! Chicory coffee is popular among those trying to reduce their caffeine intake. It is linked to several health benefits, including redu..
Cremoso coffee has a strong aroma and a surprisingly smooth finish with a pleasant and cosy flavour . 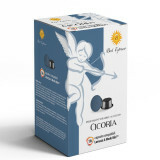 It is an excellent choice for every day coffee, with its distinctive taste, creamy and dense body is adored by all cof.. 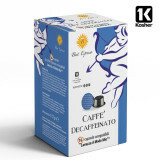 This decaffeinated coffee is surprisingly smooth and pleasant to drink. A fine blend of Brazilian and Guatemalan beans decaffeinated using only steamed water. 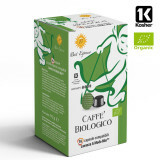 You will be surprised at the taste of this caffeine fre..
A revolutionary full-bodied blend for strong and aromatic coffee. 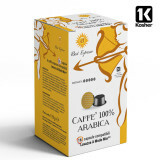 Discover the taste of a perfect coffee for a morning or after lunch kick. excessively good! 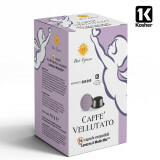 Compatible with A Modo Mio System by Lav.. 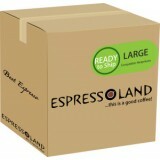 Premium coffee made of high quality Arabica beans that can be enjoyed anytime from morning to night. 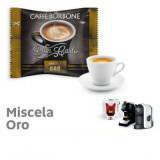 A subtle and pleasant taste that leaves pleasure in the palate.Compatible with A Modo Mio System by L..
A balanced and rounded taste, full-bodied, creamy and at the same time perfectly toasted and golden to give you a unique coffee, soft and so good that after tasting it' you’d feel like recommending it to everyone. B..
Black Blend The unmistakable black blend created to offer quality and convenience.This is a skillful prepared blend of Arabica and Robusta beans. It is combined with an perfect roasting time and the right period of..
Gold blend, for true connoisseurs, the ultimate expression of the Neapolitan tradition.Borbone Gold blend is the right blend for those who can not give up the traditional flavors with creamy soft taste.The careful mix o..
Strong,decisive, full-bodied and sharp taste, just to give you an energy boost.Borbone Red blend was born for those who love a robust and thick strong and decisive flavour, an energy booster. The robust and rich taste c..
Gran Bar is creamy, full-bodied and aromatic with an intense and well-balanced flavour. 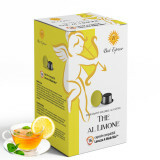 The classic Italian espresso.Covim is based in Genoa Italy and their coffees are the result of a passion, culture, and style..
Gold Arabica is highly aromatic, with an enticing and intense fragrance and a pleasant, well-balanced acidity. 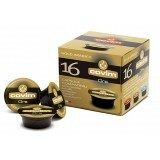 An espresso for true connoisseurs.Covim is based in Genoa Italy and their coffees are the result of a passi..
Value Pack containing 192 (12 bags of 16pieces) high quality Coffee Capsules compatible with Lavazza a Modo Mio system. 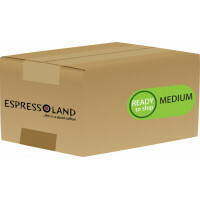 Mix Pack of Italian Coffee and Best Espresso capsules - Subject to av..